An animated sitcom gag came just before that scolding, and I was laughing. The well-placed sequence gets to the heart of Kevin Macdonald’s emotional look at a troubled life. Behind every famous public image are truths untold, and Whitney becomes a bittersweet labor of love. The persistent force behind the film is executive producer Nicole David. A longtime talent agent (and, interestingly enough, the original voice of Scooby Doo’s “Velma”) David represented Houston for almost three decades, and was committed to finding someone who would do justice to the Whitney she knew. David’s sincerity convinced a skeptical Macdonald, the veteran director with sharp instincts for narrative features (The Last King of Scotland, State of Play) and as well as docs (Touching the Void, Marley). He gets beneath this tabloid fodder with necessary determination. Houston wasn’t a soul-baring songwriter like Amy Winehouse, and her recorded interviews were scarce and seldom revealing. Macdonald digs hard into interviews with family members and inner circle friends, layering them all with intimate home movie and archival footage to build a sad and sympathetic timeline. The cycle of talent/fame/money/drugs may be cliched by now, but Whitney succeeds in making this rise and fall more personal. We see Houston’s two personas: The vulnerable “Nippy” to those close to her, and the confident “Whitney” to an obsessive public. 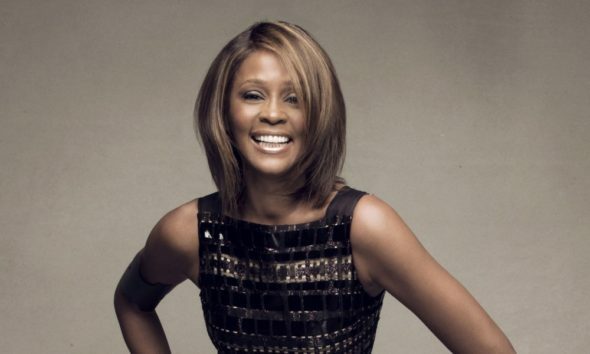 The whispers that come from her closeness to assistant Robyn Crawford, the trauma of sexual abuse from a family member, her volatile marriage to Bobby Brown, the Diane Sawyer “crack is wack” debacle and the tragic legacy passed down to daughter Bobbi Kristina are all addressed in necessary, but thoughtful ways. Near the end, fan-made concert video shows a once powerful voice destroyed by drugs and demons. That downward spiral is indeed no laughing matter, and Whitney is an emotional ride, a thorough and respectful take on a mysterious, superstar life.